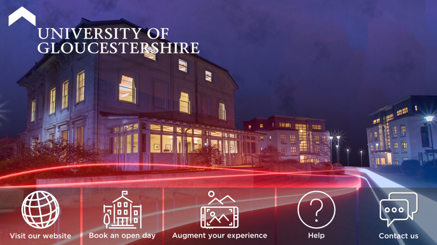 We worked with the University of Gloucestershire to develop an engaging Mobile Augmented Reality App to allow students to take a virtual tour of the various University campus buildings. 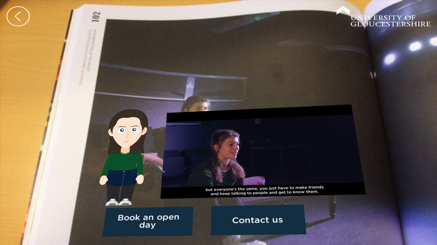 Past students spring to life from the printed-pages, appearing as animated avatars to enthuse about their time at the Uni, along with video-footage of the campus and classrooms. A 3D carousel of works of art, hovering over the Prospectus, illustrates the creativity of the University’s students! It's pretty cool, even if we do say so ourselves!